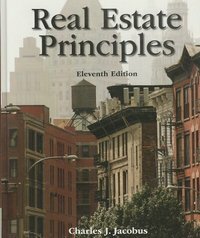 Real Estate Principles 11 Edition For decades this popular principles book has laid a solid foundation for thousands of new real estate professionals like you starting a rewarding career in the real estate industry. Known for his clear presentation and engaging style, Charles Jacobus brings together all the pieces of real estate giving you the fundamentals they need for success. This best-selling principles book has been updated to reflect numerous changes in modern real estate practice. Particular attention has been given to new regulations in the mortgage industry while still reinforcing the core concepts that have been the cornerstone of American real estate ownership.